For as long as most of us can remember, Canadian art auctions have featured a familiar set of names on the marquee: Emily Carr, Tom Thomson and, of course, Lawren Harris, the reigning champion with a record-smashing sale of his painting Mountain Forms in 2016 for $11.2 million. Others have nabbed the spotlight now and again — Alex Colville, whose work hit a new high at $1.9 million in 2015; or Jean Paul Lemieux, who set his own record in 2011 at $2.34 million — but even those tended not to hit any season’s high end. That’s been owned almost exclusively by those familiar early 20th-century Modernist folks, whose value has been as durable as their reputations as Canadian culture perennials. Those names are still present this spring auction season but, with only smaller works available from them, they’ve ceded the marquee. This is something of an event in itself. It’s the long tail, maybe, of a trend that began a year ago, when Jean-Paul Riopelle shattered all expectations when his Vent du Nord, estimated at $1.5 million, sold for $7.4 million.It set a new bar for the industry and made room at the top end of the market for Canadian art of a different stripe. 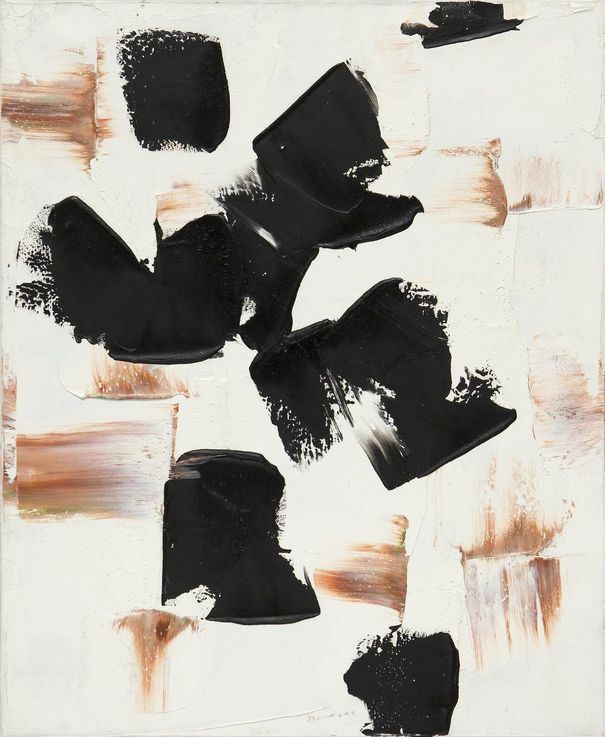 You can see it in this year’s top offerings, two of which are from Riopelle’s Automatiste confrère Paul-Emile Borduas, who sits on top of the heap with a painting whose high estimate suggests a price tag of $5 million, a new record for his work. Remember: dollar value, as in any market, signifies little more than supply and demand, and in the case of Harris and friends, their absence here only means no major works were offered for sale. So pent-up demand needs a new target. Last year, it found one in Riopelle. Borduas seems a natural followup. And while it may not challenge Mountain Forms, stranger things have happened — the Harris record-breaker had a high estimate of $5 million, too. 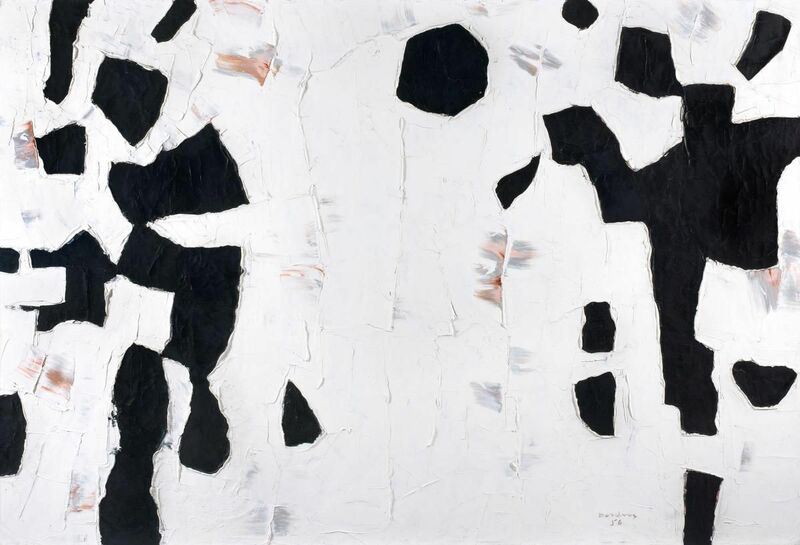 A monster of a canvas — more than four feet by six feet — by pioneering Montreal abstractionist Borduas, Figures schématiques is a signature piece with its thick swipes of black and white paint applied roughly in swabs by palette knife. Underneath, though, fleshy ochre tones simmer, heating up Borduas’ cool abstraction with visceral fury. One of his very best, and sure to go well beyond its high range — a feat, given his previous best at auction was $737,500 in 2015. In an odd confluence, or maybe not — BYDealers, a newish auction house, is perhaps following the lead of market-dominating Heffel — the second highest priced work this spring is also by Borduas and from the same year. The paintings are so similar in form and technique — those same black and white swabs, yielding scrapes of meaty pink — they could well have been painted side by side. Only its modest dimensions, at two feet by two feet, hold it back from bigger things. But for fans of the Automatiste bandleader, it’s a winner. This piece won’t approach Lemieux’s record at auction of $2.34 million — a surprise to many, set in 2011 — but it’s nonetheless a signature work from the Quebecois artist’s oeuvre. 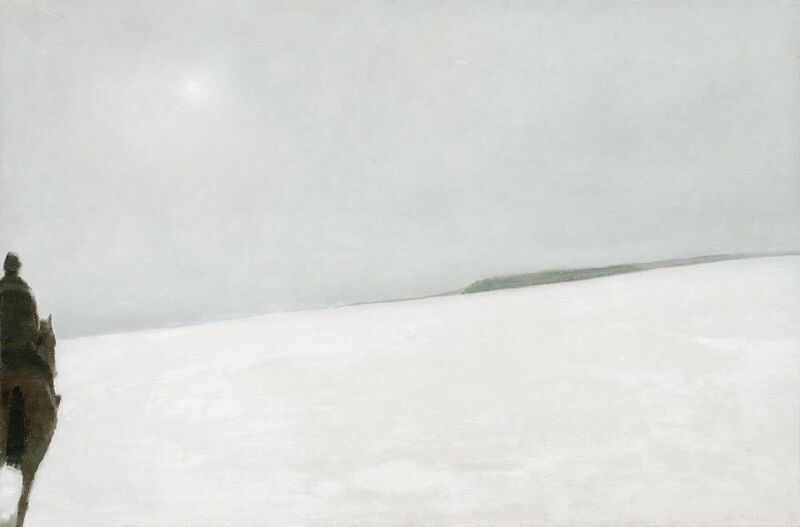 Lemieux was known to have a fascination with photographic framing techniques — some of his most famous and accomplished works are pictures painted from photos taken with his sister’s Brownie camera — and this chilly piece has that haunting sense of a moment stolen in the instant of its passing, charging it with a bleak air of loss. Better, at least in my opinion, than the pricier Cavalier — its dark tones, simmering snow and blocky building forms set a formalist’s stage for the blank-eyed face, staring wide-eyed directly at you — Printemps à Québec-Ouest seems to capture Lemieux trying to paint several pictures in a single frame. It’s vexingly compulsive and one that keeps you looking a long time. 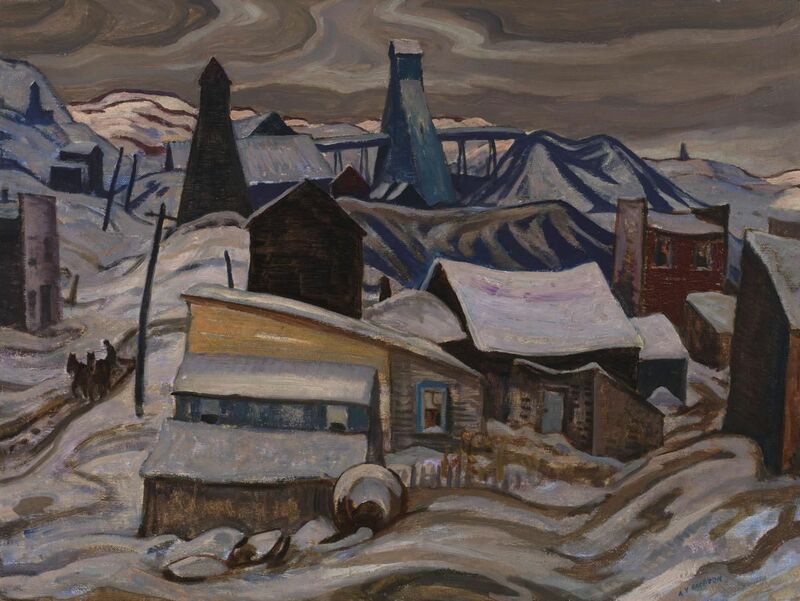 Rounding out the top five pricewise — and topping works by Carr, Harris and Thomson in the process — is this grimy, gnarled industrial landscape by the longest-lived member of the Group of Seven and its Canadiana torchbearer to the end (in his final years, weirdly, Jackson became almost a living diorama of the myth he promoted, occupying an apartment on site at the McMichael Canadian Art Collection, built as a monument to the Group’s work, until his death in 1974). Jackson needed little prompting to ply a canoe in Algonquin Park for the benefit of a camera, or break out an easel on a rocky outcrop, which makes this painting somewhat against type. It’s a welcome reminder that the group, lionized in the popular imagination as the heroic painters of the Canadian wilderness, weren’t so mesmerized by a mythic notion of nature as to be blind to the industrial devastation right under their noses. That it sits here as a serious contender for his all-time record price at auction — $760,500, set way back in 2008 — might mean that the myth-busting many of us have advanced in recent years might finally be getting through.